Barbie’s not interested in the cookies. Consumer groups have recently criticized the national Girl Scout organization for its partnership with Mattel. 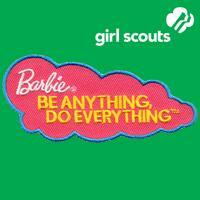 Launched in August 2013, the “Be Anything, Do Everything” program uses the Barbie theme to explore various career options. Aimed at Daisies, Brownies, and Juniors, the program consists of a booklet, computer game, pink patch for the back of the vest or sash, and three Barbie dolls wearing Girl Scout “uniforms.” Barbie wears a pinkified Junior (4th and 5th grader) uniform, hardly age appropriate for an astronaut, architect, or even a teen age Girl Scout. My first reaction was “Ewwwww.” My second was “why”? What do Mattel and GSUSA get out of the deal? Why did GSUSA partner with Barbie? This partnership will allow Girl Scouts to offer an engaging and interactive new leadership experience, one that leverages the appeal of Barbie in order to encourage girls to explore exciting new career possibilities. We are tying the fun girls have playing with Barbie to an opportunity to gain insight into the careers of today and tomorrow, with patches and discovery along the way. Like Girl Scouts, Barbie is an American icon; together, we are teaching girls that their futures are wide open with possibilities, and that they can accomplish anything they set their sights on in their careers. What does GSUSA get from Mattel? It is a three-year, $2 million deal. This is hardly the first time GSUSA has licensed a line of dolls. There have been official dolls for decades. The Groovy Girls became Girl Scouts in 2007 and Adora dolls are in every council shop today. American Girl dolls could buy Junior Girl Scout uniforms in the late 1990s. A new set of dolls, the Girl Scout Friendship Collection, debuted yesterday at the GS National Convention in Salt Lake City. The new Girl Scout Carly doll, (girlscoutshop.com). This cute doll was only for sale at the 2008 Indianapolis convention. An old ad for Troop Groovy Girl. The first Girl Scout doll appeared in 1917. What is different about the Barbie deal is the curriculum and patch. Critics, led by Susan Linn of the Campaign for a Commercial-Free Childhood, say the patch transforms girls “into walking advertisements.” Yet various councils already offer patches created with corporate grants. Mary Kay Cosmetics Entrepreneur patch from GS Northeast Texas. Northeast Texas STEM patch with Texas Instruments. Nation’s Capital has a patch program sponsored by Capital One. Mattel gains a strategic partnership with an iconic brand linked to wholesome goodness and little girls. More important, Mattel creates new ties to an age group that often has moved beyond Barbie. Yesterday, October 16, Mattel announced that Barbie sales had plunged 21% in the 3rd quarter of the year, following drops of 14% or more in the 1st and 2nd quarters of 2014. The Wall Street Journal reported that “Barbie is in a slump so bad that she’s getting pushed around by no-name newcomers,” such as Walmart’s Funville Sparkle Girlz. Recent studies show that between the ages of 7 and 11 (Brownies and Juniors), many girls reject Barbies as “babyish” and move on to trendier toys, such as Monster High and tablets. While other adults debate the merits and value of Barbies, I think a girl-led approach would be to encourage younger Girl Scouts to apply their critical thinking skills to Barbie. 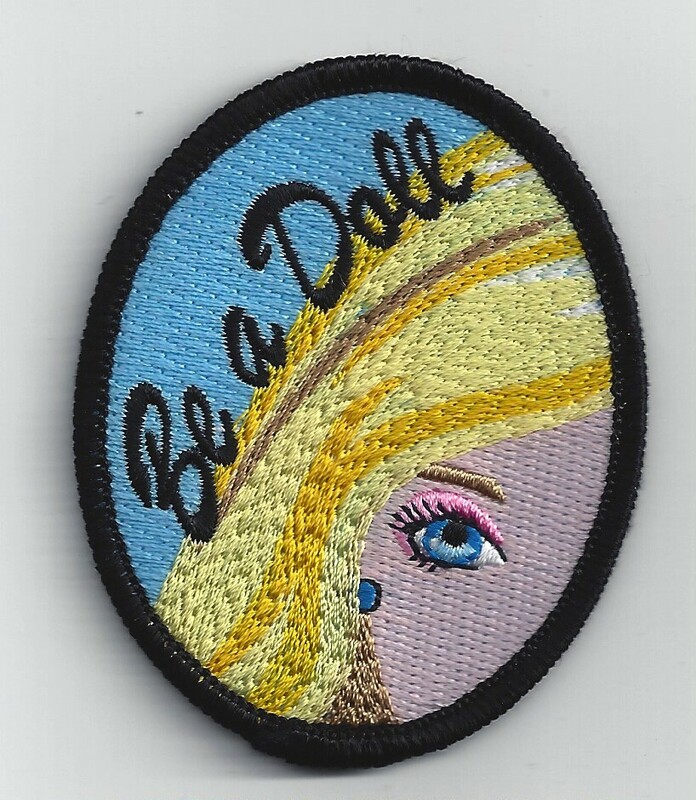 Girls can earn the Be A Doll patch. Interviewing real women to see if they could perform their jobs dressed as a career Barbie. Barbie needs the Girls Scouts. When it’s time to renew the deal with Mattel, GSUSA should ask for more than $2 million and insist that Mattel give Barbie a tent—and a Gold Award. Barbie is a registered trademark of Mattel, which is not connected to this patch program in any way. This entry was posted in Conventions, Memorabilia, Products, Sensitive Issues and tagged Barbie, Capital One, dolls, Girl Scout memorabilia, Girl Scouts, GSUSA, Mary Kay, Mattel, Texas Instruments. Bookmark the permalink. While i don’t mind GSUSA partnering with Matel on the Barbie, I’d really like to see them partner with Goldie Blocs. The inventor, a female engineer, just spoke at the National GS Convention about her line of books and building materials that inspire girls to create and build. Great way to introduce and encourage math and science to young girls. Wasn’t she great? I just looked and the Golide Blox are available at the online GS shop. My council, Nation’s Capital, has declined to stock either the Barbie patch or dolls in its shops. I was saddened to see the Barbies at Juliette’s home in Savannah. Not in my council store, though!